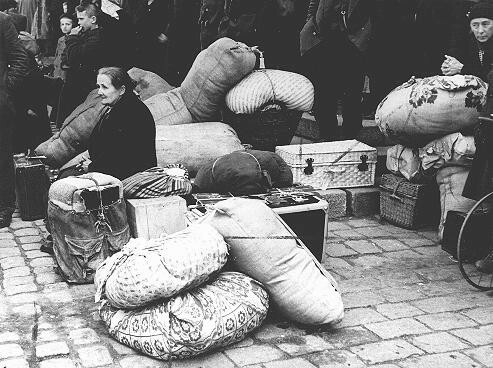 Refugees from the Sudetenland, following its annexation by Germany, arrive in Prague. Prague, Czechoslovakia, ca. October 1938. 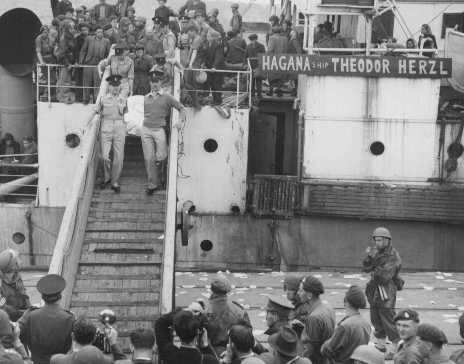 Palestine police remove the body of a refugee (draped in a Jewish flag), killed aboard the refugee ship Theodor Herzl during its unsuccessful attempt to run through a British naval blockade. 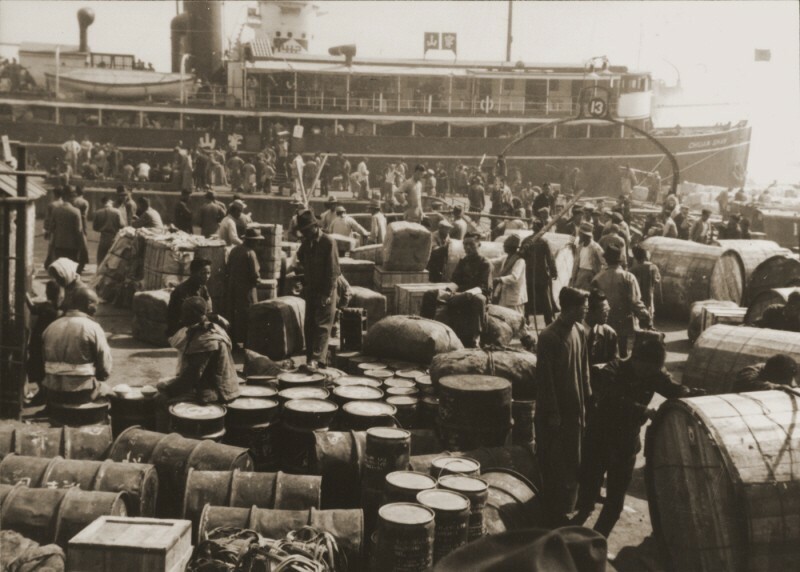 Haifa port, Palestine, April 14, 1947. 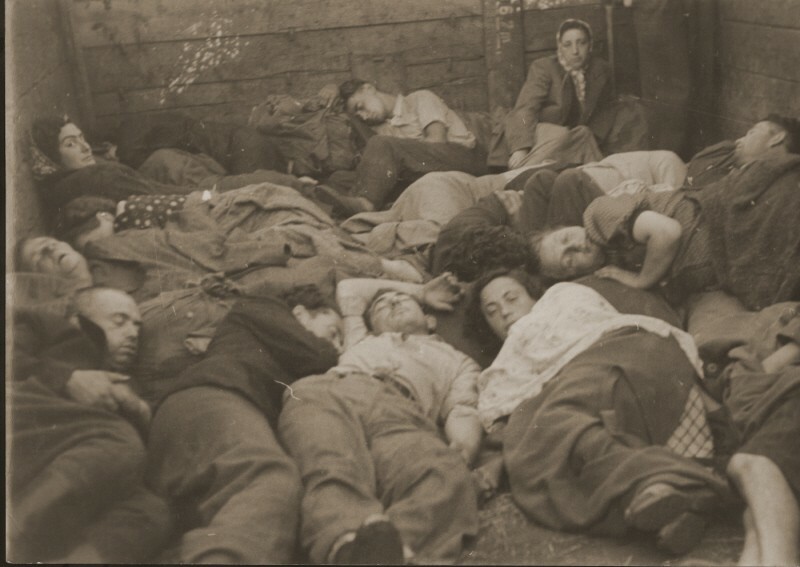 Jewish refugees, part of the Brihah (the postwar mass flight of Jews from eastern Europe), in a crowded boxcar on the way to a displaced persons camp in the American occupation zone. Germany, 1945 or 1946. 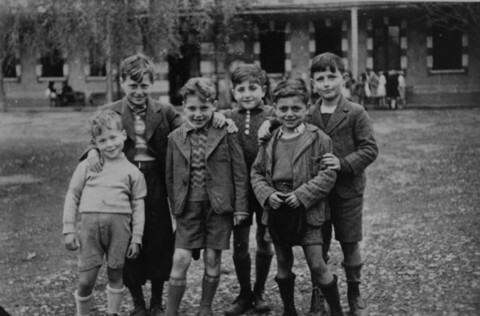 Jewish refugee boys at the Maison des Pupilles de la Nation children's home in Aspet. These children reached the home through the efforts of the Children's Aid Society (Oeuvre de Secours aux Enfants; OSE) and the American Friends Service Committee. Aspet, France, ca. 1942. Jewish refugees board the SS Mouzinho for the voyage to the United States. 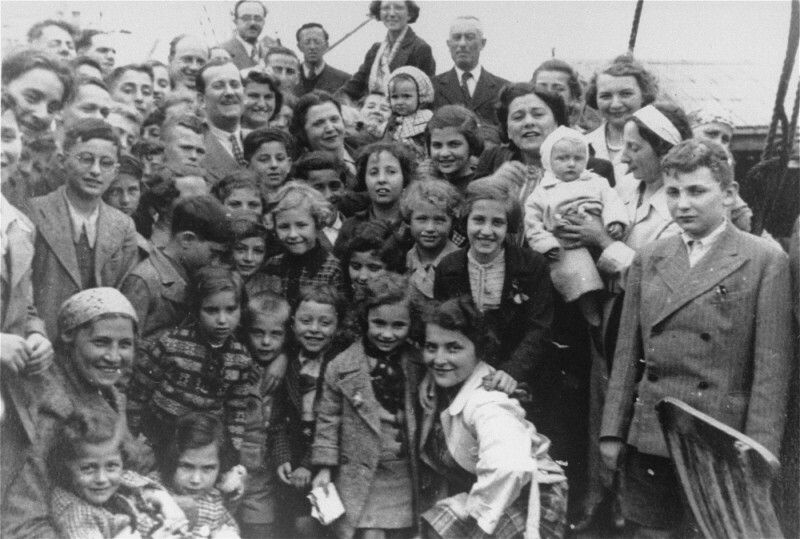 Among these refugees is a group of Jewish children recently rescued from internment camps in France. Lisbon, Portugal, ca. June 10, 1941. 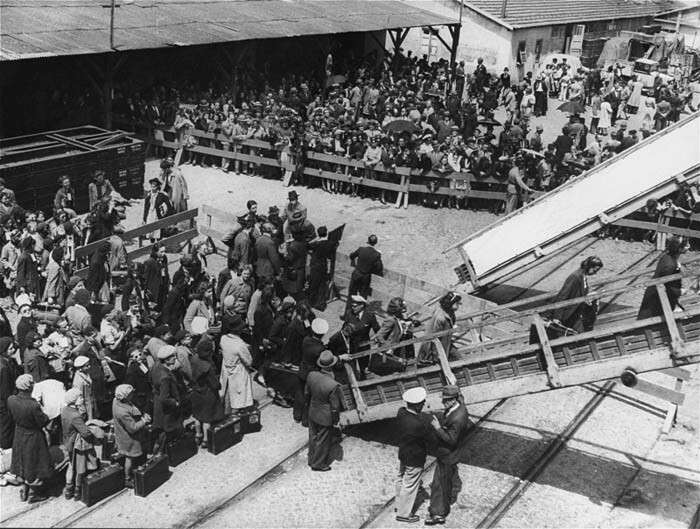 German Jewish refugees disembark in the port of Shanghai, one of the few places without visa requirements. Shanghai, China, 1940. Passengers aboard the St. Louis. These refugees from Nazi Germany were forced to return to Europe after both Cuba and the United States denied them refuge. May or June 1939. 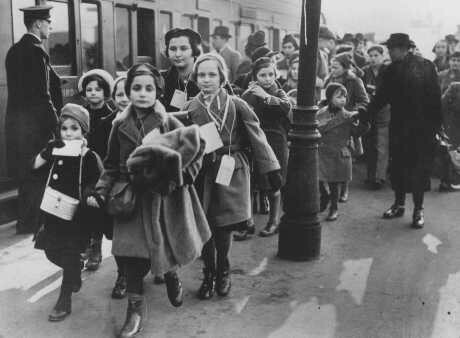 Austrian Jewish refugee children, members of one of the Children's Transports (Kindertransport), arrive at a London train station. Great Britain, February 2, 1939.